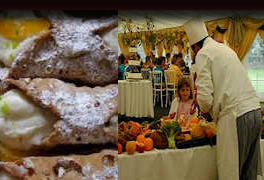 Long Island Catering - Royal Catering of Long Island, hot and cold buffets, corporate and family BBQ's and party heros. AAA Royal Catering can provide you with complete party services & rentals for your event. From basic tables and chairs to a complete line of canopies, rope & pole tents and frame tents, we will create a comfortable and elegant atmosphere for your guests to enjoy. Our event rental coordinator will meet with you to survey the party set up at your chosen location assuring you a proper configuration and price quote. All rentals should be booked as early as possible during spring & summer months to insure availability. Just a partial list of Services & Party Rentals. Expertly Prepared for All Occasions. Any Menu Can Be Tailored To Your Personal Needs. DJ's, Limousines and Musicians For Any Occasion. We Travel To All Locations. 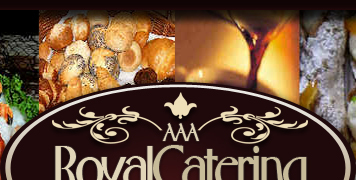 Thank you for inquiring about AAA Royal Catering. In addition to the enclosed menus, we have many unprinted options to enhance your party. We cater to your needs. At your Home, Office or Location of Choice. 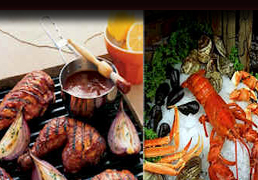 We at Royal Caterers are ready to assist you in creating and planning your next party. We Guarantee it to be a Success! Our professional staff will set up, serve, and clean up, allowing you to be a guest at your party. Please do not hesitate to contact our office for a private consultation. We are looking forward to hearing from you.